This summer, get ready for the invasion of the cherry tomatoes! Wildly prolific, each determinate patio-ready bush unleashes a bumper crop of 300 1”, 1 oz. little sweeties bursting with great big flavor. GROWING TIP: Plants call for caging. Tomato, Baby Boomer Hybrid is rated 3.8 out of 5 by 17. Rated 5 out of 5 by Richard22 from Incredibly prolific! Planted the Boomer in the ground, not in a container. No special treatment, just regular watering. Amazing number of beautiful grape sized, delicious tomatoes. Already have a different spot picked out for next year. Rated 5 out of 5 by Gardener Gail from Wonderful yield! I bought one plant of Baby Boomer and just picked a huge bowl full! 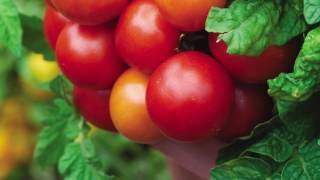 They have excellent, sweet flavor, keep well, and not one had a cracking or splitting like other cherry type tomatoes. I have a small garden, and this is a perfect amount of tomatoes for me, and I can still give some away. Rated 3 out of 5 by Shaawdy from Boomer alright Lots of tomatoes for sure. Tasted ok, not sure I will plant this one again. Rated 2 out of 5 by jimf67 from Lots of only fair tasting tomatoes Although this variety produces lots of tomatoes, at least in our soil they were not very tasty and were "mealy". I wont buy these again. Rated 5 out of 5 by Emma from Outstanding cherry tomato!!! This will be the third season that I will grow baby boomer and I could not be happier. I start my seeds indoors and here in North Carolina, I can set them out by mid-April. I have planted them in grow bags and in the garden directly, both ways have worked extremely well. 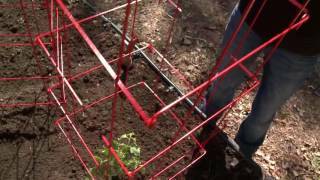 I set up the small square cages the day I plant and they remain tidy through the summer. Rainfall can be tricky down here so I have many rain barrels, But, even in the summer heat, 2 gallons of water every 2/3 days works well. Baby Boomer is very high yielding, and I plant anywhere from 6 to eight plants. And since not everyone can have a garden, what I can't eat, I give away.Overall, I have yet to find a red cherry tomato variety that grows so well. Rated 5 out of 5 by CTgarderner from Delicious! This is a trailing tomato and I think will be good for hanging baskets or to trail over the sides of a high raised bed. These cherry tomatoes ripen 2 weeks before my other heirloom tomatoes and they wilted once the hot and humid weather hits. The tomatoes are sweet and the skins are thin - the best I have ever tasted. I will definitely plant them again next year. Rated 2 out of 5 by gwens from poor quality First time to grow this tomato. Heavy producer, however, picked tomatoes go bad very quickly 1 or 2 days and have a more mushy texture. Not as sweet as Sweet 100 or Sweet Chelsea. Would not grow them again. Rated 1 out of 5 by treegyn1 from Poor quality I am a very experienced gardener with decades under my belt, and have purchased plants through the mail from many different suppliers. This plant, 'Baby Boomer Hybrid,' arrived in very poor condition, wilted and very etiolated. For $6 per plant, I expected better, especially from Burpee. The plant is recovering now, and eventually will be OK, but I've lost valuable time in an area with a short growing season. I could do much better growing plants inside my house under a grow light.